Increasingly popular single speed bikes seem to be starting to take over the streets and I for one can see why! There are so many reason why, style, speed, clean, comfort, simple and reliability are to just name a few. This particular bike is a REID Harrier that offers a very comfortable and easy ride, made even better with addition of our Solarbike 200W Electric conversion kit. The electric kit will certainly be helping this customer to and from work. We offer many different kits to suit all your needs. 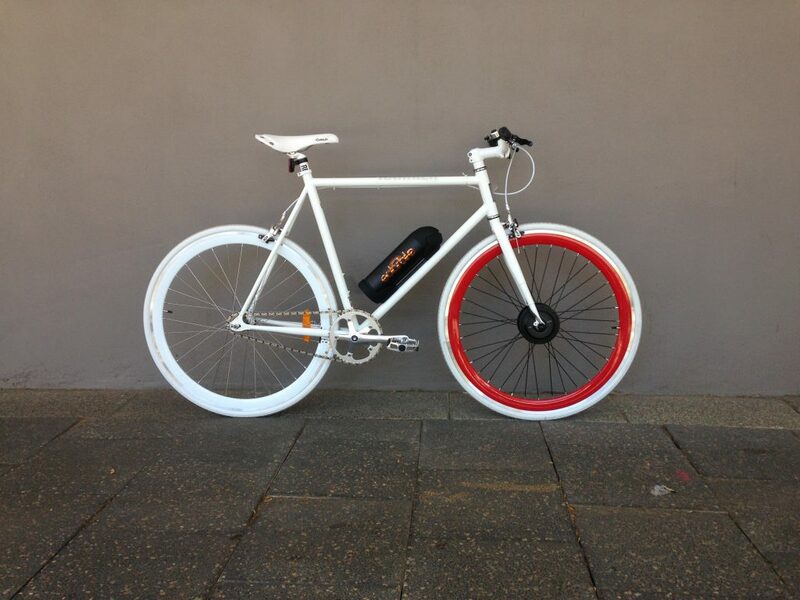 Single speed bikes have become the new craze and we can take you to the next level with a electric conversion!